The Rotary Club of New Milford recently presented its February Student of the Month Award to New Milford High School senior Jacob Matthews. Jacob is the recipient of the Rensselaer Award for Excellence in math and science and the Columbia Book Award for Excellence in Academics, and has served as treasurer of the Math Honor Society and as stage manager for the NMHS talent show and fall play. He has also volunteered at the John J. McCarthy Observatory. He plans to study computer science in college. 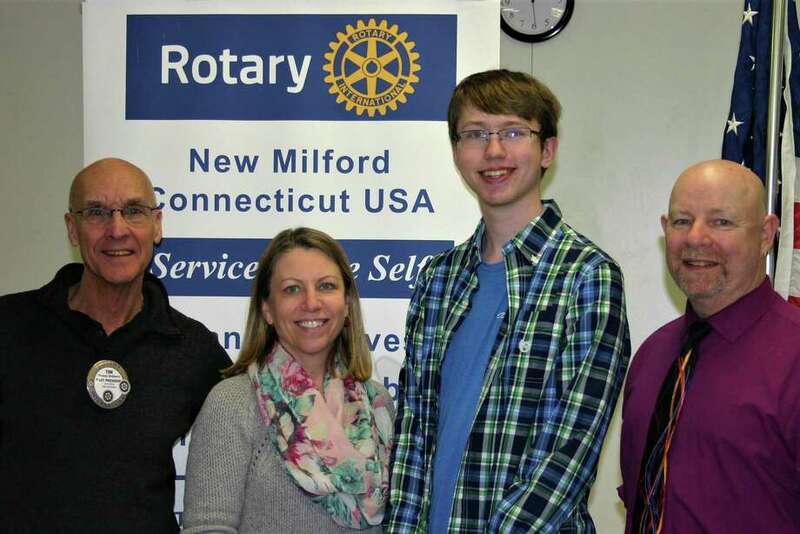 Jacob is shown above with, from left to right, Rotarian Tom McSherry, Jacob’s mother, Karen Matthews, and NMHS math teacher Stephen Donahue.